Filtering in an MPR is important because, during development, changes are mainly made inside one or two packages. It wouldn’t make sense to run commands on the whole repository if only a few packages were modified. scope - Include only packages with names matching the given glob. include-filtered-dependents - Include all transitive dependents when running a command regardless of --scope, --ignore, or --since. include-filtered-dependencies - Include all transitive dependencies when running a command regardless of --scope, --ignore, or --since. ignore - Exclude packages with names matching the given glob. private - Include private packages. Pass --no-private to exclude private packages. since - Only include packages that have been updated since the specified [ref]. If no ref is passed, it defaults to the most recent tag. These flags are not only hard to type but also hard to remember and easy to mix up. Unlike Lerna, pnpm uses a special package selector syntax to restrict its commands. So instead of memorizing a set of long flag names, you should only remember a very easy-to-remember selector syntax.
. - Includes all packages that are under the current working directory. These filters may be specified either via the --filter flag or after a --at the end of the command. 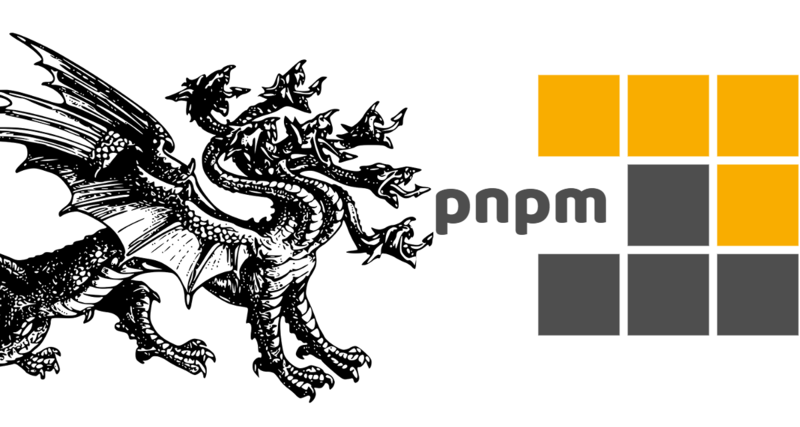 pnpm might not have yet all the features that Lerna provides but for many users it might be enough already. If you haven’t heard about pnpm yet, I recommend reading also Flat nodemodules is not the only way which explains the unique nodemodules structure created by pnpm.